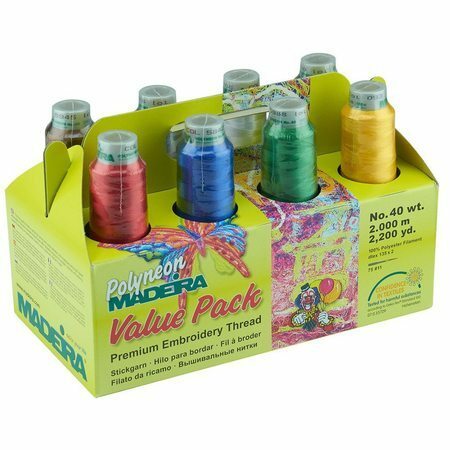 Madeira's Polyneon Value Pack is the perfect thread set for embroidery on a budget. 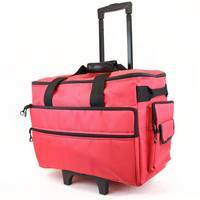 Each cone contains 2200 yards of 40 weight polyester thread in bright neon colors. Colors included in this value pack are Poppy Red (1838), Team Blue (1842), Grass Green (1988), Canary Gold (1971), Espresso (1945), Grey (1918), Bright White (1801), and Black (1800).